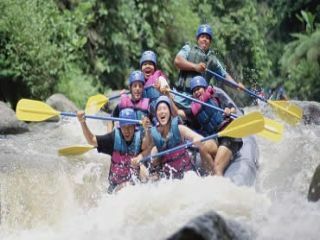 Bali Rafting and Uluwatu Tour is a Bali Combination Tour Packages to feel the Exciting white water rafting tours at amazing ayung river with gread rapids challenge and beautiful panorama of the river and continue visiting the famous Uluwatu temple on the south of Bali islands and visit other tourist destinations. Bali Rafting and Uluwatu Tour is perfect choices for those want to try the challenge of ayung river rafting for two hours and visiting the famous temple on the cliff. Tourist destination will be visiti during Bali Rafting and Uluwatu Tours is Enjoy 2 hours rafting at Ayung River in north of ubud village, The rapids class on River of Ayung is for beginner also very easy to access and suitable for those who never try rafting activities before and can be considered as family friendly whitewater river. Then continue visiting Dreamland Beach in south of Bali islands with white sand stretch 100 meters and leaned on a steep of white stone cliff overlooking to the amazing view of Indian Ocean. 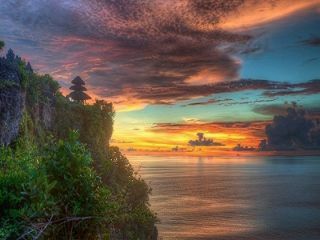 Then continue visiting Uluwatu Temple which sits on a 70-meter-high cliff protruding above Indonesian Ocean and some group monkey roaming near the temple. The tour will be very enjoyable with our friendly Bali Day Tours Driver will make the trip memorable one. 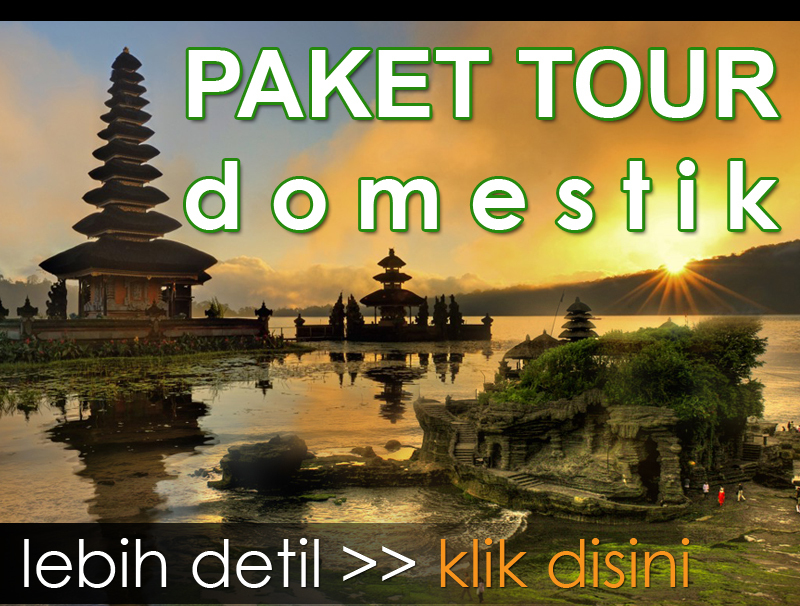 Below is short decription places of onterest will be visit during Bali Rafting and Uluwatu Tour. Ayung River Rafting Tour is one of the best Bali Rafting tour in northern part of Ubud with the beautiful and high riverbank. 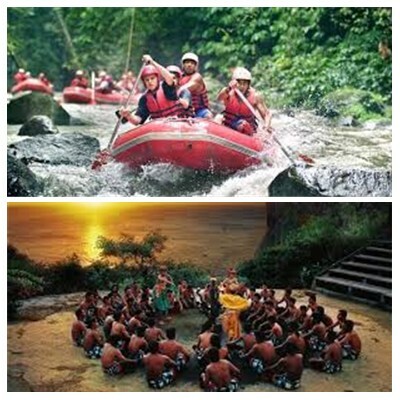 Ripples irrigate the river rock, tracing Bali nature pass the river which is full of fun and pass the attractive and challenging rapids are the impressive Ayung Rafting experience on your vacation in Bali. Your Bali Rafting Tour adventure in the water will end at the finish point and enjoy the buffet lunch at the same time enjoy the nature of Ubud Bali. Taking shower and change clothes will be reserved to refresh your body. The comfortable transportation which have been provided will bring the you return to hotel with full of fun memory. Dreamland Beach Is one of the most beautiful beaches in Bali. It is located in the Southern Peninsular of Bali, south of Bali airport and about 30 minutes from Kuta Center. Dreamland Beach is also known as New Kuta Beach but don’t be fooled by the name, this is not anywhere near the busy Kuta Center where the famous Kuta Beach is and Dreamland Beach has soft white sand beach. Dreamland Beach was in the village of Pecatu, Badung regency, located in the southern island of Bali. You can reach this beach is about 30 minutes from Kuta Beach at Jimbaran. Uluwatu Temple sits on a 70-meter-high cliff protruding above Indonesian Ocean. There are hundreds of monkeys roaming along the path outside the temple. A small forest lies at the front and hundreds of monkeys dwell here. They are believed to guard the temple from bad influences. The serpentine pathway to the temple is fortified by concrete walls on the cliff side. It takes about an hour to get from one end to another as there are several fenced points along the way to stop. The views from the bottom of the water surging up against rocks and the ocean horizon are remarkable.